Farewell My Friend. Rest in peace, Tony. This entry was posted in Farewell my Friend and tagged "Junior Seau", "NFL", "Tony Seau" on December 23, 2013 by Shayn Roby. It’s sad when one loses a friend to death. Unfortunately, it’s even more sad when one learns it via the media, when just wondering where that person is, and finding their obituary. 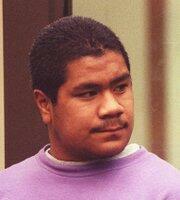 Unfortunately, I just learned that my friend Tony Seau passed away in October. Tony, I will miss you my uso. Lesina will miss you as well. This entry was posted in Farewell my Friend and tagged "Tony Seau" on December 23, 2013 by Shayn Roby.